Evens skin tone and reduces the appearance of pigmentation. 99.9% NATURAL - Suitable for all skin types, especially those with age spots, freckles, redness and pigmentation. 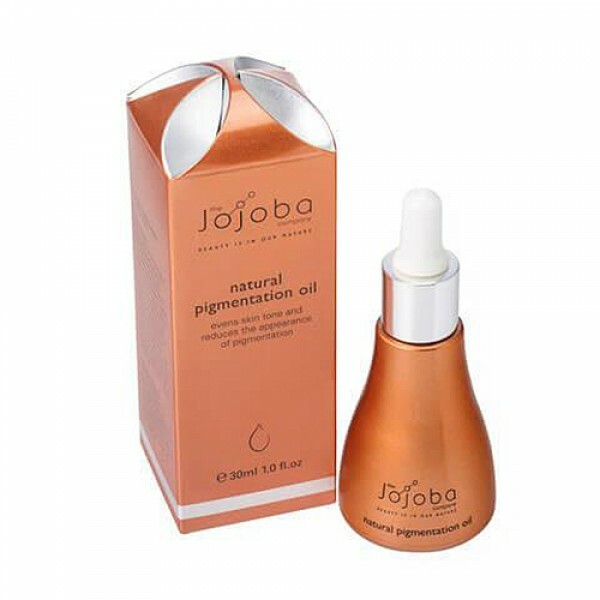 A jojoba rich, natural formulation enriched with vitamins and active ingredients to specifically target pigmentation and reduce the appearance of age spots, freckles and uneven skin tone. Skin lightening effect and reduction of redness after 3 weeks. 15% reduction of age spots in 3 weeks. 25% reduction of age spots within 6 weeks. Usage: Shake well before use and massage 1-2 drops onto clean skin morning and night. For best results, follow with our Moisturising Protective Day Cream SPF15 in the morning and our Intense Overnight Renewal Cream at night. ^From natural essential oils. *100% natural Australian Jojoba.